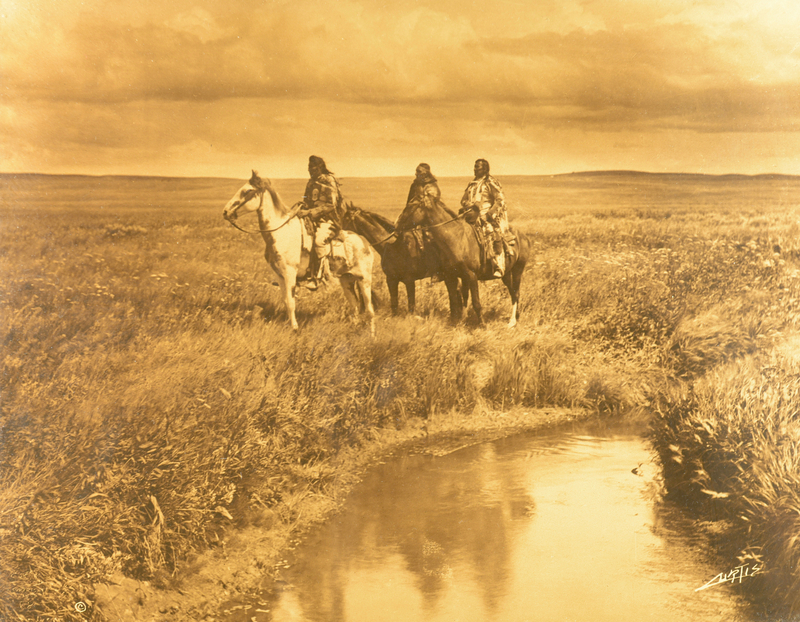 Edward S. Curtis (American, 1868-1952) orotone, "The Three Chiefs." 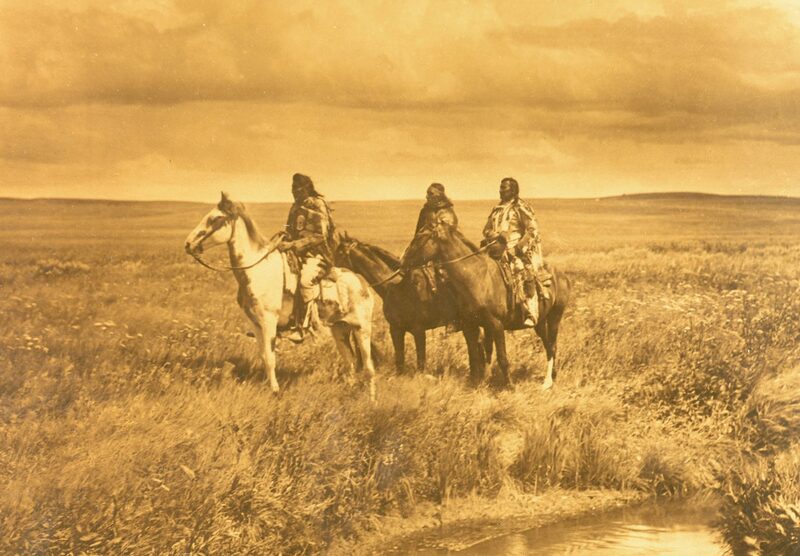 Image depicts three Native American Blackfoot chiefs on horseback, on a Montana prairie under a clouded sky. 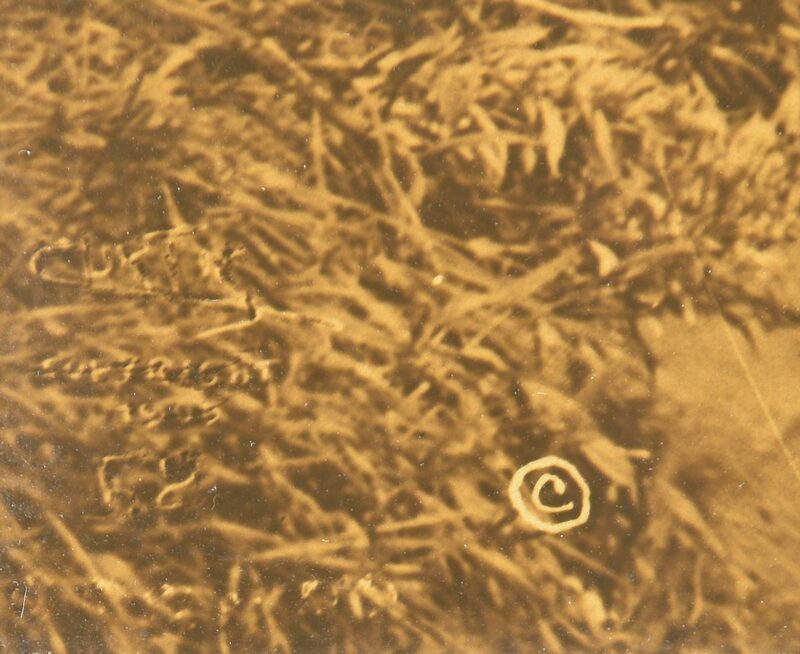 Curtis signature in the negative lower right with copyright lower left. 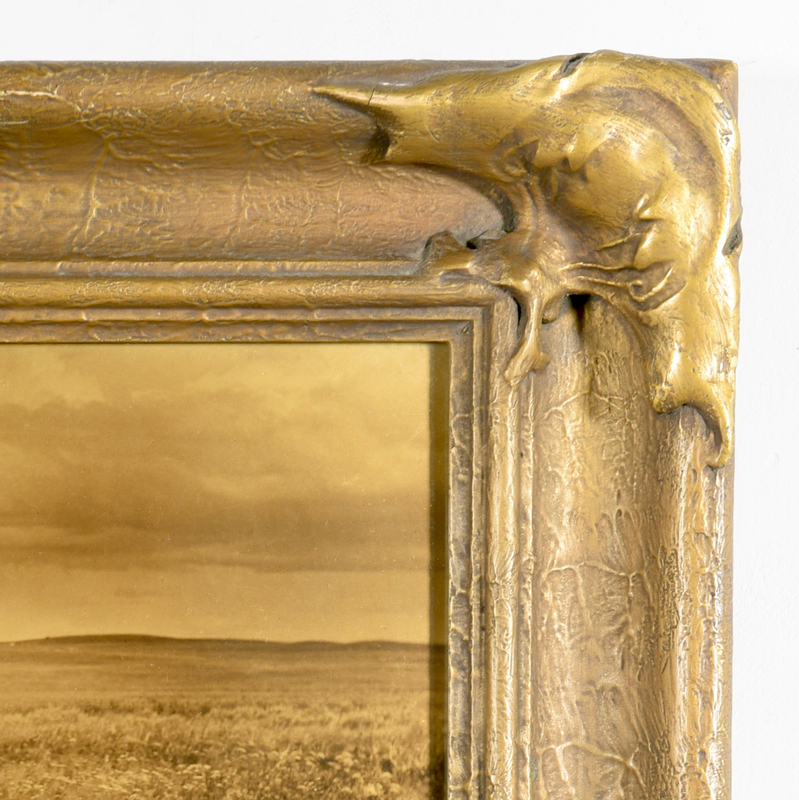 Orotone is framed in its original Curtis-designed "batwing" frame, and backed in the frame by an advertising broadside promoting a movie based on Curtis's North American Indian project. 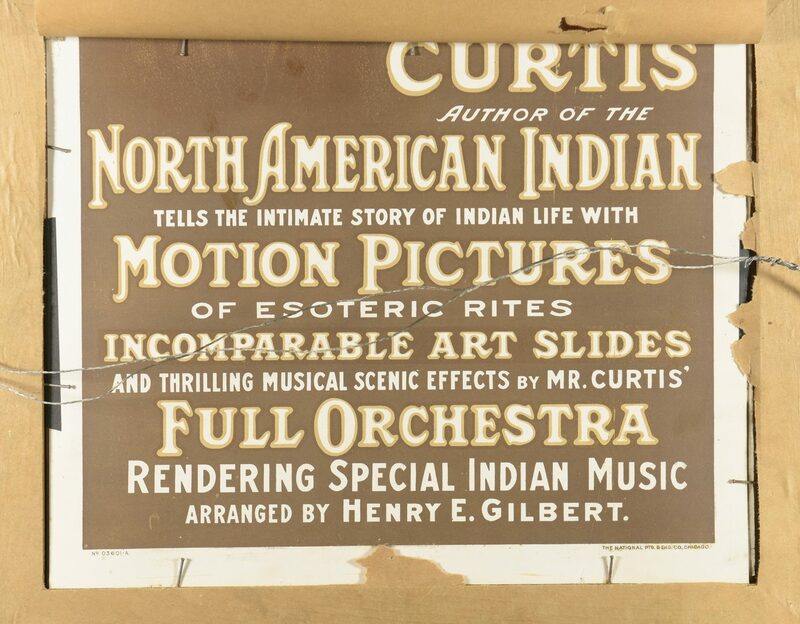 It reads: "Curtis, Author of the North American Indian tells the intimate story of Indian life with Motion Pictures of esoteric rites / Incomparable Art Slides and thrilling musical scenic effects by Mr. Curtis' Full Orchestra rendering Special Indian Music, arranged by Henry E. Gilbert". 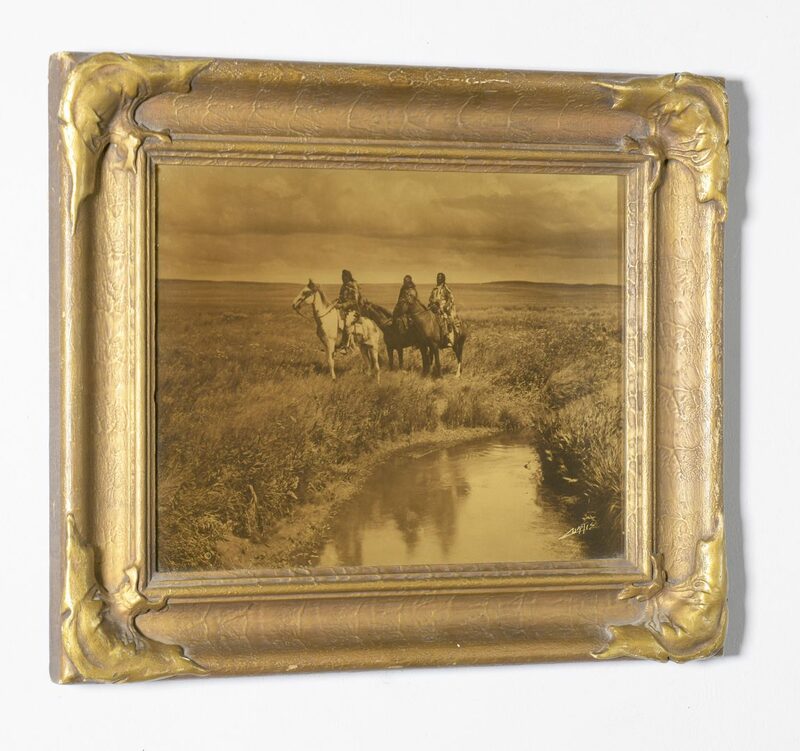 Sight – 10 1/4" H x 13 1/4" W. Framed – 15 3/4" H x 18 3/4" W. Circa 1910. 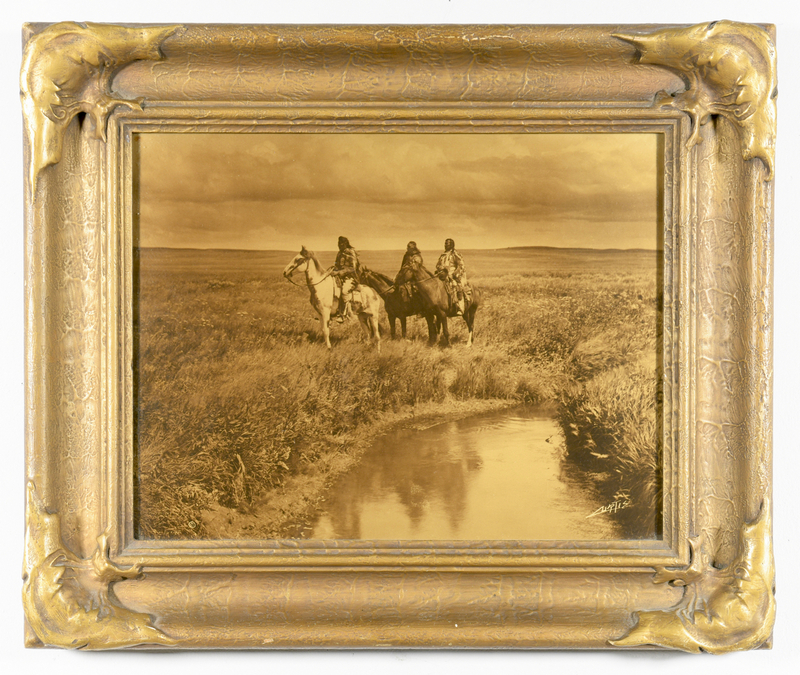 Note: "The Three Chiefs" is widely regarded as one of Curtis's most important photographs. 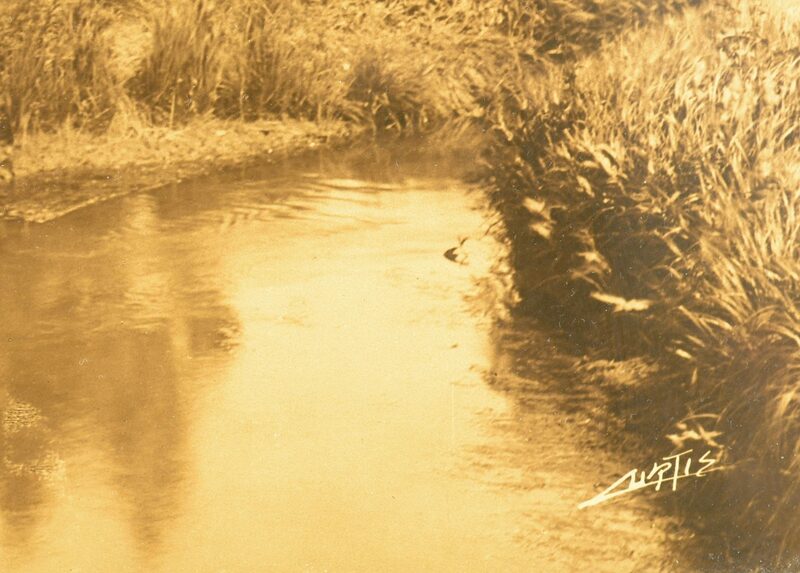 He captured the image during a two week stay on a Blackfoot Reservation in Montana during the summer of 1900, and it was published as a photogravure in his documentary venture "The North American Indian". There, Curtis described this particular image as "Three proud old leaders of their people. A picture of the primal upland prairies with their waving grass and limpid streams. A glimpse of the life and conditions which are on the verge of extinction." Provenance: Private East Tennessee collection. CONDITION: Orotone and broadside are in excellent condition. Very minor abrasions to frame, primarily to the corners.